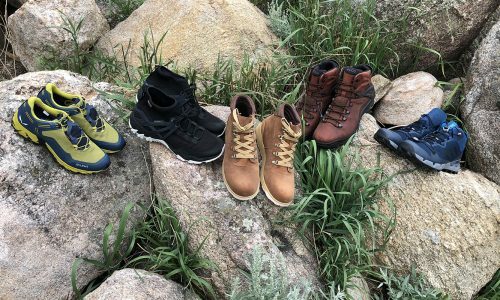 I was invited on a two-day coastal backpacking trip just north of San Francisco to join Vasque, Otterbox, Leatherman and Ledlenser to test out some of their latest releases. 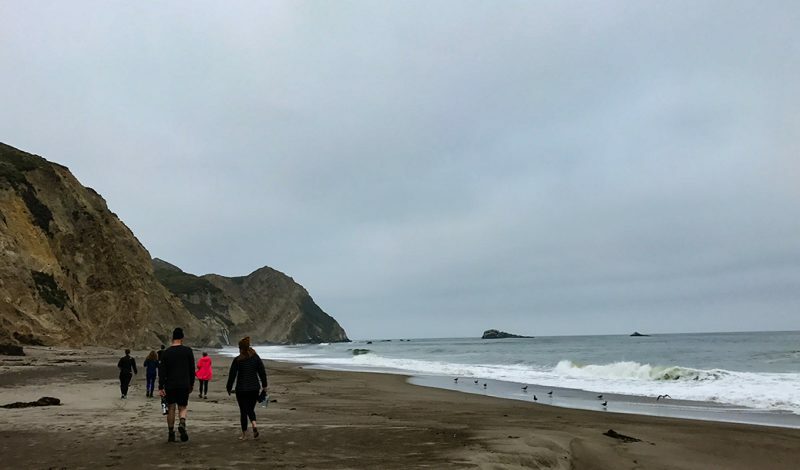 The 12-mile roundtrip featured moderate flat hiking shared with horses, tree canopied trails with challenging climbs, and expansive vistas overlooking the Pacific Ocean. The Trail Mavens guided the excursion, and the food was just as memorable as the hiking. Over all, it was an amazing experience. 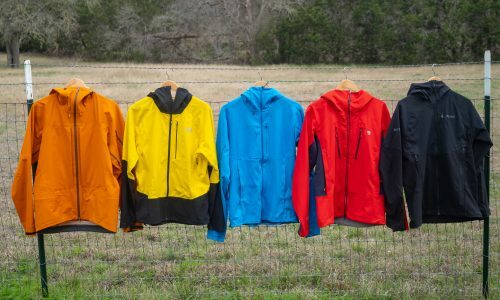 Here are some notes on the gear we used along the Point Reyes National Seashore. 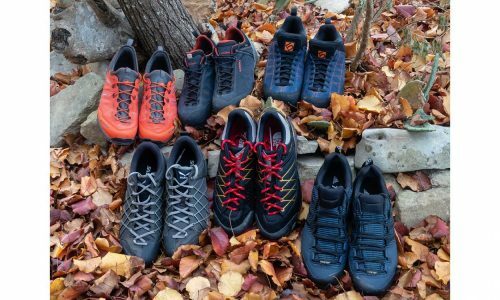 These mid-height hikers are the most breathable and lightest fully featured boot in Vasque’s extensive lineup. 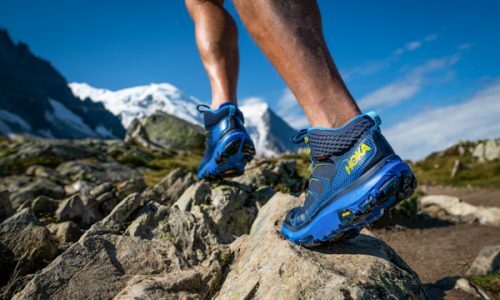 They employ an airy mesh and nubuck upper, a dual density EVA footbed, an all terrain oriented dual density EVA midsole with TPU shank, and a custom Vibram Contact Grip with Megagrip compound outsole. Also notable are the toe and heel counter pass through air vents. I have notoriously wimpy skin on my feet. My 4-year-old daughter shames me, scampering barefoot across our limestone walkway, while I tiptoe in pain. I’ve been stopped dead in my tracks many times by blisters and worse on adventures, not even touching the limits of fitness. 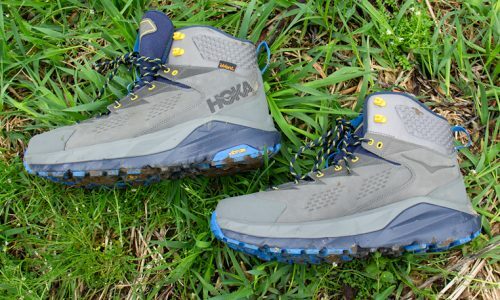 And here I was, that guy—opening the box to a new pair of boots; donning them for the first time minutes before the bus left for the trailhead. Wearing a single layer of hiking socks, 12 miles of undulating terrain under a moderate load, and my feet went unscathed. I have never been able to say this about a pair of boots. I found the camber and last were appropriate for anything short of fast-packing, traction was plentiful on all surfaces encountered, and the breathability was stellar. Vasque Breeze III’s are available in men’s, women’s and kids in medium and wide widths. Verified weight: 2 pounds, 10.9 ounces in size 10M men’s. The uniVerse case primarily functions to protect the phone with its polycarbonate outer shell and synthetic rubber interior. A synthetic rubber beveled edge further protects the screen. The case fits extremely well, covering every contour but leaving all buttons and lenses completely functional. The case boasts OtterBox’s “Certified Drop+ Protection,” the company’s promise that it has passed more than 24 tests to ensure proper function and protection. The uniVerse collection uses a proprietary “rail” system that allows piggybacking of various accessories such as batteries, camera lenses, card readers, speakers, external memory and more. I made the rookie mistake of loading an already discharged battery into my camera, leaving my iPhone 7 as the only option to capture images on the trail. OtterBox supplied a Mophie Charge Force battery, allowing me to capture all the images I wanted without worrying about power. The rail attachment system securely holds the battery to the phone case and pushing a button allows the 2,500 mAh lithium ion battery to charge the phone with enough juice to power up to 39 hours of talk time. A micro USB or Qi-compatible charger replenishes the Charge Force. 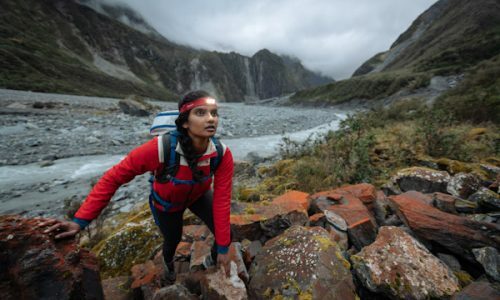 The Ledlenser MH-10 headlamp puts out 600 lumens; a lot for a LED headlamp and perfectly suitable for backpacking. The Cree LED chips are known for being super bright, and Ledlenser’s “Advanced Focus System,” is a patented reflector and lens combination that concentrates the lumens into a powerful beam for distance viewing that can spread out to a wide angle flood lamp with a twist of the bezel. The quality of the light was impressive. LED’s can have diffracted light with vague cutoffs. The Ledlenser MH-10 mimicked high quality HID projector headlights, with a pleasing white light that is even in intensity and warmth, with very distinct cutoffs, particularly when the beam is wide. Again, this is a bright light so these qualities are even more pronounced than in a weaker headlamp. The rechargeable lithium-ion battery fits on the rear of the headband, helping balance the entire unit for more aggressive pursuits and a temperature control system cools the LED to maintain constant output. There is a red LED “tail light” on the battery pack to be spotted from behind. The tethered battery pack itself is removable in case frigid temperatures warrant placing it in a pocket. A locking mechanism prevents powering on during travel, and a filter set is included. This headlamp has become my go-to for night trail running, where power output and light quality are priorities. 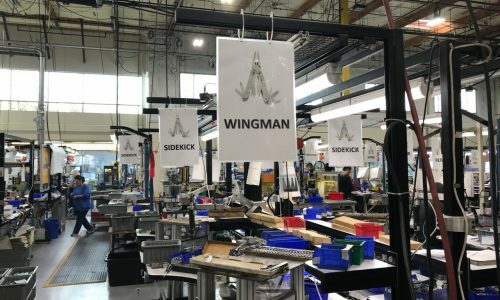 The Leatherman Signal makes a compelling pitch for having almost everything you could conceivably use while leaving out the rarely used tools. 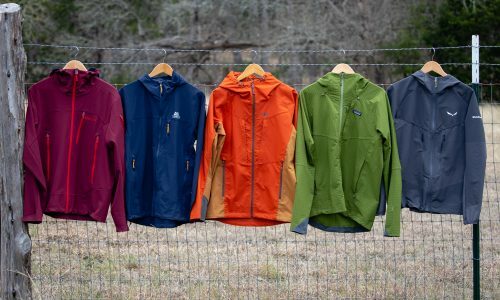 There is a total of 19 separate tools; the often usable 420 HC combo knife, needle nose/normal pliers, hanging carabiner and the requisite can and bottle openers are all present. Everyday carry category tools for the handy person are also in play: high-quality wire cutters (with replaceable blade), wire stripper, bit driver, 1/4” and 3/16” box wrenches, awl and saw. 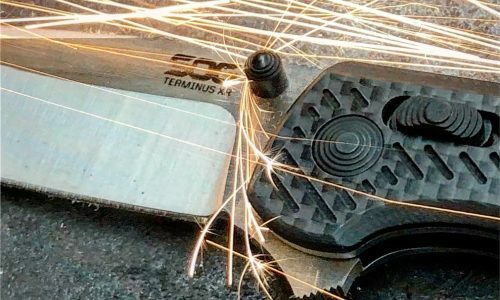 Items that spark “why didn’t I think of putting that on a multi-tool,” thoughts and potential trip savers include a hammer, diamond sharpener, and ferrocerium rod. The build quality of the Leatherman Signal was put to the test. The hammer effectively pounded in all the tent stakes, and the blade already has plenty of use and is still holding its edge. I have owned several Leatherman tools, some of them are still going strong after 20+ years, and I expect this model to follow suit. Keeping the quality and durability high while skimming weight off is a tough call, and Leatherman did it’s best with the skeletonized exterior and use of plastic in appropriate areas. Although a little bulky and weighty for fast and light missions, the Signal will find its way into my pack for any extended outings, in my pocket as an everyday carry when I’m working on my property, and it will have permanent residence in the center console of my truck.